When Rithy came to Hagar in 1999, he was only 12 years old. He had been living on the streets of Phnom Penh, stealing to get by. Rithy had become an orphan, and was angry and alone when he first started living on the streets. Not long afterwards, he had become addicted to drugs. His only solace was in the friendships he made with other homeless boys around the same age, and Rithy was devastated when he lost one of his closest friends. He tried to get help, but because they had no money, no one would help them. Rithy’s friend died in his arms. Rithy was referred to Hagar for long term care after having been found by World Vision. For the first time in his life, he was in school. He learnt English, how to use a computer, and he loved playing music. Rithy started to learn new social skills, and built lifelong friendships with others from similar backgrounds, and he felt less alone. Throughout his life, Rithy had reflected on the moment where he had held his dying friend in his arms on the street. He had felt so frustrated that no one would help them because they had no money, so when the time came for Rithy to choose a career path, he decided to pursue a medical career. Rithy is still at university, but is in the final years of his study. Rithy visits offers free medical assistance to those within nearby slum community through a mobile medical clinic that he manages. 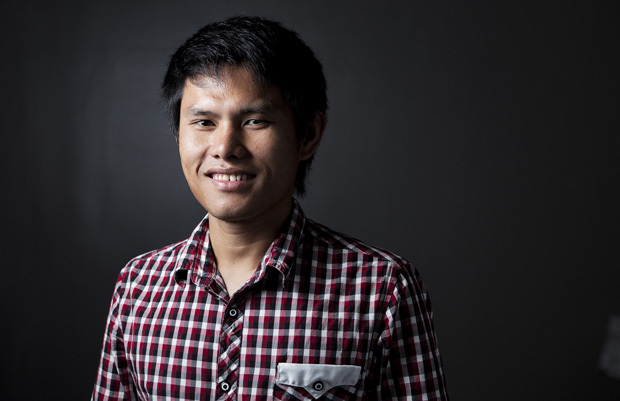 “My big goal in life is to abolish the gap between rich and poor in Khmer Society. I have seen many people suffer from not having enough money to pay for medical treatment when they have an illness. Even sometimes when the cost is not so expensive they still have no money to pay for it. Sometimes the doctors don’t pay attention to the people because they are only concerned about whether or not there is enough money to pay him. The plan for my life is to finish my study and then go and work in an NGO to help the poor people in the rural areas by giving them medical care and treatment without having to pay. After this I want to be in touch with government and make them abolish the discrimination between the rich and the poor. I do not like to see the rich people make the poor people suffer. Rithy is an example of what the long-term love and support of Hagar donors and staff can achieve in a person’s life. Together, we have seen transformation!